Technology is playing a critical role these days in all profession. 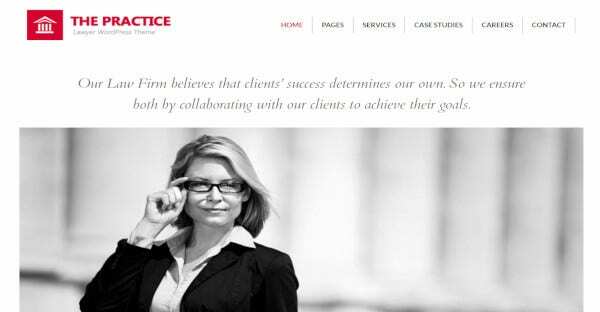 They have also penetrated the legal profession, and legal firms are using various WordPress platforms to portray their accountability creating the websites using the themes and templates. You can find some of the best themes here. There are 3 premade homepage templates for use and is very attractive and stylish. One can load the client testimonials to enhance the profession. There are separate sections to describe the services offered by the firm and is quite user-friendly. It is one of the most modern themes. It has a live customizer for changing the theme as per the need. Portfolio type display is possible to highlight the law firm business details. Use the Visual Composer to create pages. A blank template page allows having maintenance mode, promotion or coming-soon. 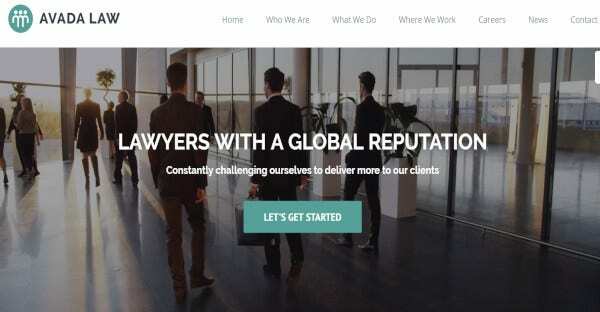 An elegant and professional WordPress theme for lawyers. Get full widgetized home pages allowing for re-establish the theme as per requirements. 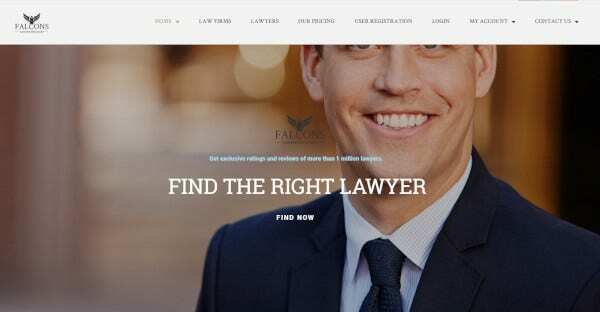 It is perfect to create a website for barristers, advocates or attorneys wanting to have niche clientele. It is a truly dedicated theme. It is retina ready and very responsive theme with Visual Composer plugins. Use the drag and drop feature and the slider revolution for posting elements. Add a case evaluation form if you want, and the theme is multilingual. It is retina ready, lightweight and is very fast to work with on any device. Use the custom post types or the widgets to suit your law website. For themes, shortcodes can be used. It can be translated into any language and it is cross browser compatible. It is one of the best WordPress themes for creating a business or personal website. 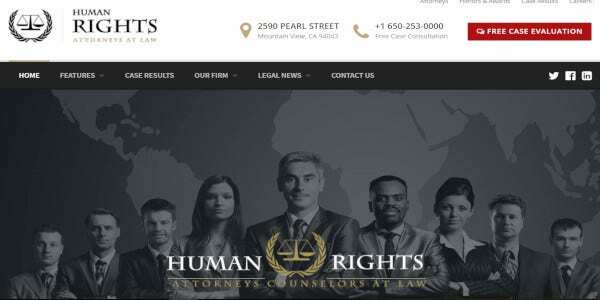 It is a perfect theme for creating websites for any law-related business. The Visual composer creates the layouts of the pages effectively. 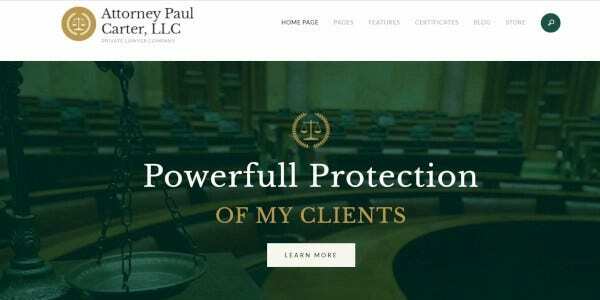 Law office allows adding WordPress calendar plugins enabling to book appointments and also having a panel for Ajax Search. With 9 templates, it gives a wide option to make a unique website. The templates are stylishly designed to show off professionalism and authority. This theme support WooCommerce, WPML plugins as well as page builder making it more commercially viable to clients. 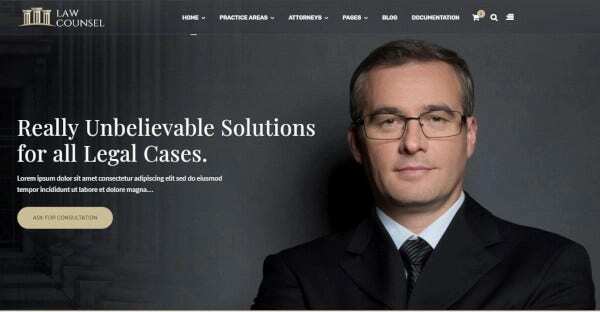 Make all types of websites for all your lawyer and attorney needs using this WordPress theme. Describe your services, profiles and practices and cases in hand with 3 predesigned homepage layouts. It allows customizing the pages using the WPBakery page builder. 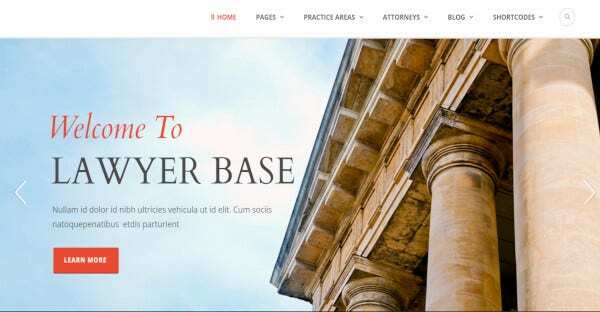 Get the full widths or the boxed layout using the Lawyers base WordPress theme. Use the GoodLawyers page builder and create your pages with the drag and drop options. Use the dedicated post type to display the attorneys. It is compatible with WooCommerce with e-commerce features and is multilingual. Manage your webpage with this easy WordPress theme. Use amazing themes to highlight your firm and practices. 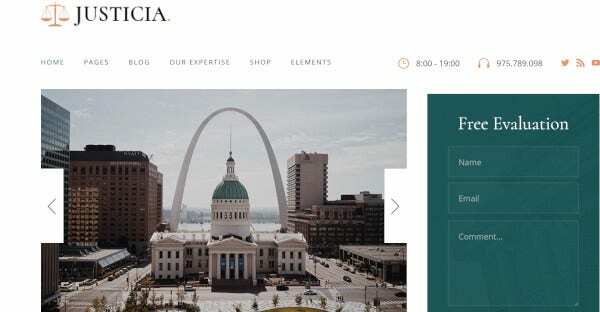 The parallax sections, element animations, and the sliders are perfect to build a professional website. The theme code can be changed and is extendible. Make various portfolios using the perfect layouts. 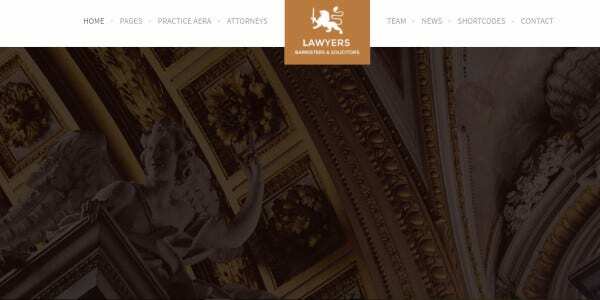 Avada WordPress theme is feature packed, and the Avado law demo will allow you to create your law business website. Use the fusion core plugins to access unlimited customization options. The builder tool allows dragging and dropping elements on the page. With WooCommerce plugins start your eCommerce online consultancy. 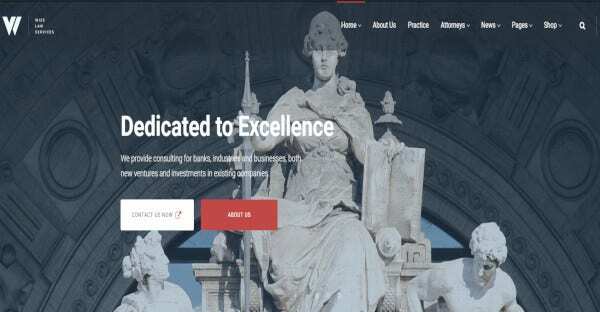 It is another best WordPress theme for creating law based websites. The visual composer, the drag & drop page builder, creates the web pages perfectly to showcase your firm and practices. It comes with 7 slider options and 12 header styles along with the maintenance mode. It is an SEO complaint. 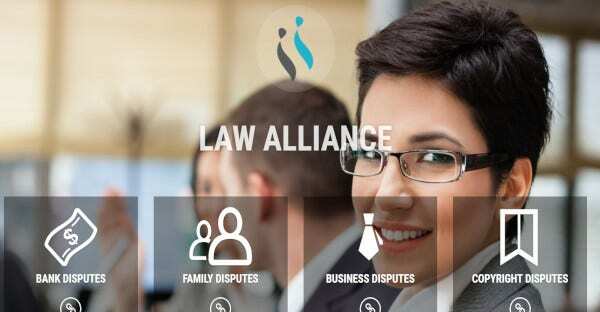 It has a beautiful header section to highlight the salient features of the firm and the Lawyers in the panel. 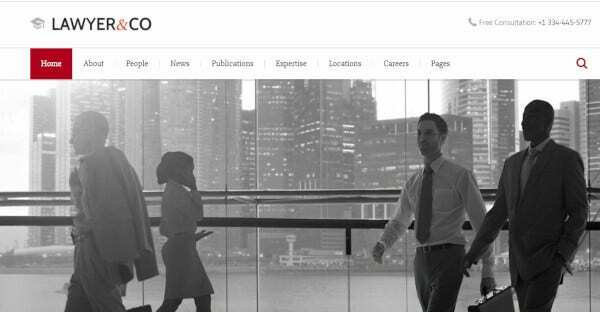 The multiple page layouts allow showcasing all aspects of your firm in a segmented manner. Integration of WooCommerce is allowed, and it also supports the WPBakery page builder. 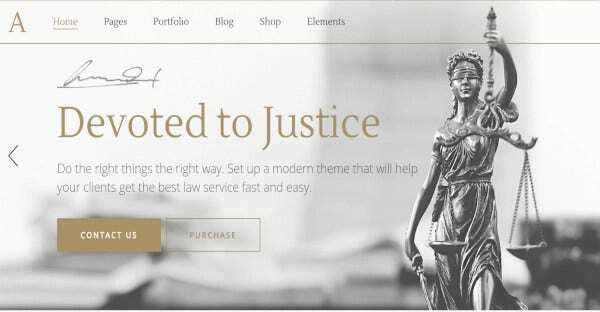 Verdict WordPress themes for the law comes with 6 layouts of the premade homepage to show off the profession. It supports all WPML plugins and Google fonts and includes Slider Revolution and WPBakery page builder. Using by the law firms is perfect. 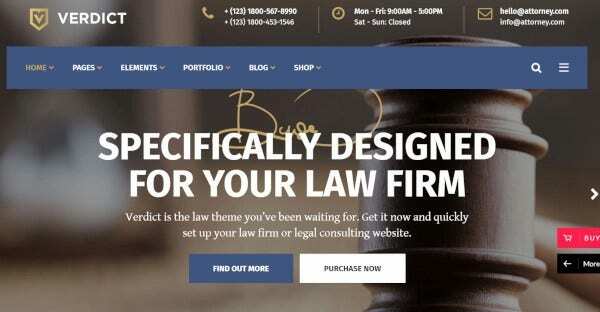 With this WordPress theme that supports WPBakery page builder one can create a perfect website for law practice. There are 2 premade layouts of the homepage and multiple inner page designs to choose and use. The practice area, the profiles, and services can be put in separate pages. 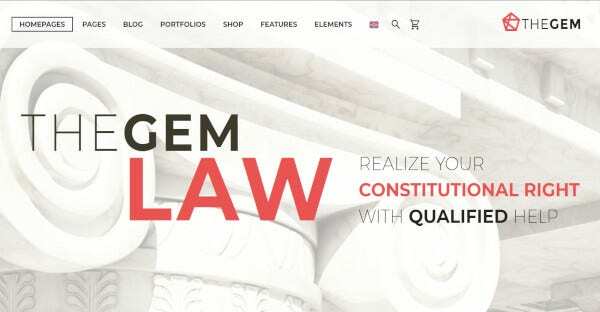 With 4 differently styled homepages that are premade it becomes easy to build a website for customized law practices. There is an attractive header section to woo customers. The theme supports WPML plugins and WPBakery page builder. The pages can be created with style. 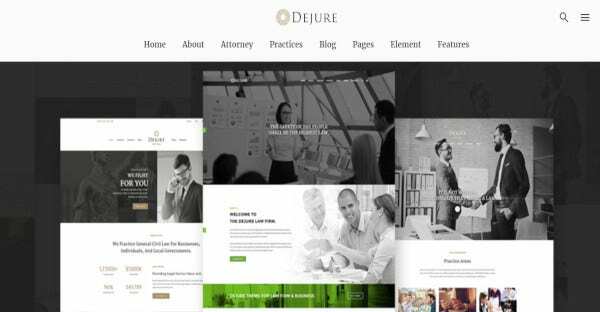 It is a modern WordPress theme having 6 layouts of homepages that are premade and is perfectly suitable for all types of specialty law firms. The templates have attractive designs with multiple inner pages with a mega- menu option. It supports the WPBakery page builder. 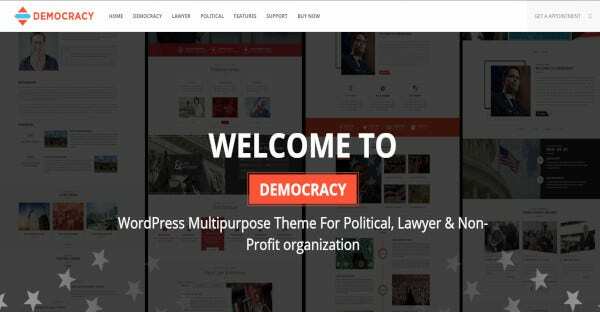 Democracy Political WordPress theme has 3 different homepage layouts and s perfect for Law practitioners and firms. It supports multiple plugins like WPML, BBPress, and MailChimp. It is a perfect theme to build a campaign to uplift a social cause lawfully. Create your directory WordPress theme with Falcon. 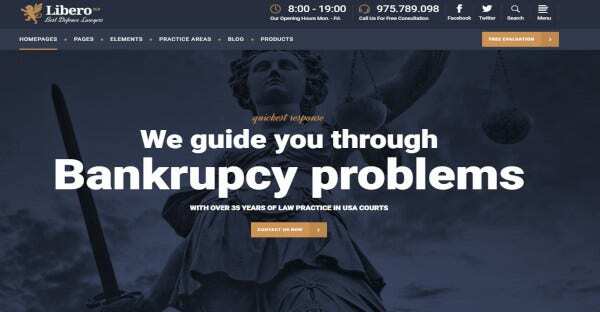 It has a powerful search function, user registration system & payment gateway supported by WooCommerce and page designs perfect to uplift the lawyer’s profile. The payment gates are very smooth and user-friendly. It is very responsive and retina ready. The built-in layouts of the page permit instant use. It works on the fuse framework and has abundant shortcodes. The Practice WordPress template allows to built SEO complaint websites to rank high on the search list. 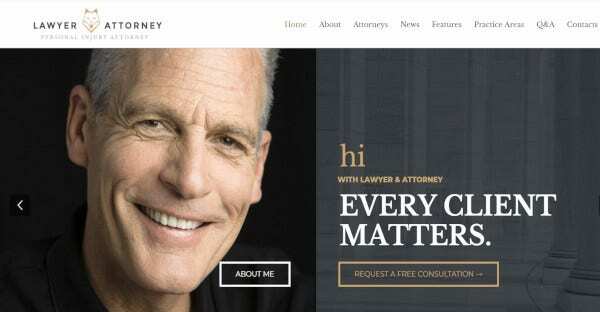 Present yourself in style as you grey your hairs practicing law with this creative WordPress theme. The main focus is on the content that is highlighted with 3-page layout options. Use the custom page templates along with adjustable header and background to showcase your expertise. 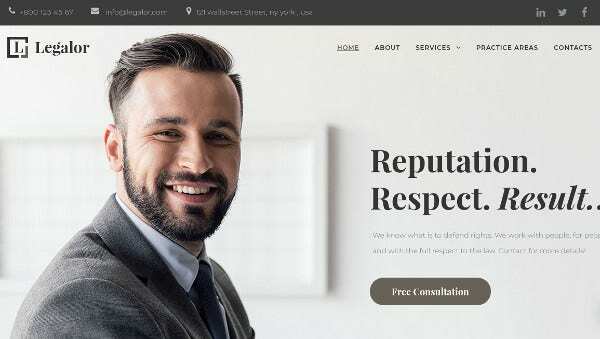 With these user-friendly WordPress themes and templates for lawyers and law firms, it is easy to build a website without professional help. Since law websites need to be regularly updated, one can do it correctly and instantly. Just grab any of the above themes and be ahead in your practice.